Washington, Sept. 17 – RespectAbility, a nonprofit organization working to empower people with disabilities to achieve the American dream, has asked gubernatorial candidates on both sides of the aisle to fill out a questionnaire on disability issues. Sec. 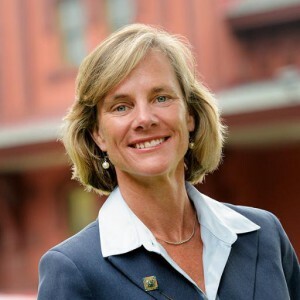 Sue Minter, a Democratic candidate seeking the governorship in Vermont, along with Republican hopeful Lt. Gov. Phil Scott, has completed the #PwDsVote Disability Campaign Questionnaire for Senate and Gubernatorial Candidates for people with disabilities. Only 33.3 percent of Vermont’s more than 41,500 working-age people with disabilities are employed. This lack of opportunity creates poverty, powerlessness and even can increase the likelihood of developing a mental health condition. Among those with disabilities, there is a poverty rate of 29.2 percent in Vermont. Both Minter and Scott, as well as Democrat Sen. Patrick Leahy, incumbent running for re-election for the U.S. Senate seat in Vermont, submitted their responses to the questionnaire, ensuring that the voters of Vermont can make an informed decision. We are presenting Minter’s answers in full below. ANSWER: Yes. Having served six years in the state legislature and five years in the governor’s cabinet, I developed a network of advisors on disability issues. As a member of the House Appropriations Committee in 2008 and 2009, I had special responsibility for the budget of Vermont’s Department of Disabilities, Aging and Independent Living. I worked with government managers, advocacy organizations, individuals with disabilities and their families. I continue to draw on their experiences and expertise as I work to expand my commitment, and Vermont’s commitment, to guaranteeing that all citizens have lives with opportunities, security and dignity. ANSWER: Yes. Our offices are accessible to those with disabilities, and we strive to ensure that events and activities are accessible. ANSWER: Yes. I am proud to have been an active supporter of Vermont’s longtime commitment to promoting opportunities for individuals with disabilities to live independently in their communities and have access to jobs and needed services. For example, as a member of the Appropriations Committee, I successfully fought back against budget cuts proposed by Governor Douglas in 2008 and 2009 that would have led to a serious erosion in programs and employment opportunities. ANSWER: Yes. I have a deep commitment to the civil rights and full inclusion of all citizens. As governor, I will be outspoken in opposition to all forms of discrimination, using the power of the office to educate, communicate and advance the cause of full inclusion for Vermonters with disabilities. That will include access to independent living, education, affordable and accessible housing, health care, and job opportunities. I believe that the most effective means of ending stigma is full inclusion in all aspects of community life. ANSWER: Yes. I will make sure that the federal requirement that 15 percent of resources for individuals with disabilities be focused on youth is effectively implemented. As governor, I will continue Vermont’s financial commitment to supported and competitive employment. For example, I support Vermont’s application for a federal grant that will assist high school students with disabilities to focus on desired career paths. ANSWER: Yes. My plan is to strongly support public education and the mainstreaming of children with disabilities. Vermont has been a national leader in this area and I am committed to keeping it that way. ANSWER: Yes. Vermont has been and should continue to be aggressive in seeking Medicaid waivers to allow maximum flexibility in benefits. Our Choices for Care waiver program has provided thousands of Vermonters the opportunity to receive health care and other services in their homes. ANSWER: Yes. Not only do I support the ACA’s protection of people with pre-existing conditions, I strongly support Vermont’s ongoing efforts to reform our health care delivery system to guarantee universal access to high quality and affordable care. ANSWER: Yes. Over two decades ago, Vermont closed its last institution for serving citizens with disabilities. We have a very strong community-based system that provides the highest level of independence possible. Vermont also has a strong system of home health services. Matched with our Choices for Care program, over 50 percent of Vermonters eligible for nursing home care opt instead for home care. ANSWER: Yes. I support recent Vermont initiatives to use alternatives to the criminal justice system for nonviolent offenders when appropriate. Vermont already has a law that diverts many of those with intellectual disabilities who are convicted of violent offenses to secure non-institutional placements. When incarceration is appropriate, protections and services for those with disabilities and mental health issues must be greatly improved. And to face the challenges involved with reentry into the community, I strongly support Vermont’s fledgling efforts to better integrate our Corrections Department with our mental health and disabilities agencies in government as well as in the community. ANSWER: Yes. In recent years Vermont state government has initiated programs to better train law enforcement officers in deescalating situations involving perceived erratic or defiant behavior. Mental health and other professionals are now routinely called in for those situations. I will support those initiatives as governor so that training and refreshing courses are always required and available. ANSWER: Yes. I want a strong system that allows suspicions of abuse to be reported and investigated as quickly as possible. Vermont’s protection system for children is currently under considerable pressures brought about by substance abuse and understaffing. Vermont’s Adult Protective Services division, which addresses abuse of elderly Vermonters and those with disabilities, is currently strong. I support the continuation of a recently established advisory committee of advocates, Legal Aid attorneys and others to monitor the case files and activities of our Adult Protective Services division. ANSWER: Yes. I do not feel that we are providing enough support for our veterans, especially those with disabilities. I will work with our Veterans Administration offices, including Vermont’s VA hospital, and Vermont’s National Guard to identify and support those veterans encountering barriers to employment, whether those barriers involve health care, housing, education, training or the need for supportive services. ANSWER: Yes. I plan to work with housing developers and local officials to make sure that Vermont addresses its affordable housing crisis. In addition, I support programs to address homelessness that help people stay in their homes in times of financial or other personal crises. ANSWER: As Secretary of Transportation, I worked to expand public transit options throughout the state, including to people with disabilities. As a State Representative, I helped initiate a program in my district to bring seniors and people with disabilities to a community center for meals, care, and socializing. I will continue to explore innovative ways to expand public transit options for people with disabilities. ANSWER: Yes. I plan to support the creative work done by Vermont’s assistive technology division in our Department of Disabilities, Aging and Independent Living to develop the new ideas and technologies that are needed to better serve Vermonters with disabilities.